Get the most from every dollar you spend on your flooring installation by choosing the best product for your needs. Flaherty's Flooring America to help you to find the right flooring for your project, guiding you through our selection to make an informed decision. One of the best ways to get the most for your money is to choose from our selection of luxury vinyl flooring in Cypress, TX. We’ll help you find out if this quality option is right for you, taking into account your aesthetic and lifestyle needs. 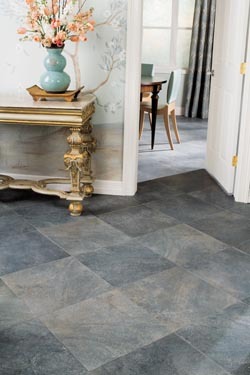 While laminate is a great choice for areas of the home that see a lot of foot traffic, vinyl is ideal for high-moisture environments such as kitchens and bathrooms. That is why we carry a wide variety of options for vinyl, giving you the choices you need when deciding on the aesthetic you want in those rooms. It can even mimic stone, hardwood, or slate thanks to an advanced photo wear layer. With a catalogue as large as ours, it is easy to become overwhelmed with all the options. That is why we are here to help you through every step of the process of choosing the perfect luxury vinyl tile or planks to meet your needs. With flooring from some of the biggest names in the industry, you can expect to find exactly what you’re looking for. Designing a home around children and pets can be challenging when it comes to flooring. With so much foot traffic, spills, and drops, you need to know that the floors you settle on can hold up to the activity. Luxury vinyl plank or tile is an ideal choice for homes that need a durable floor, especially when installed by seasoned professionals. Get the best value from your purchase and ensure that your home is protected during a flooring project by turning to our team for the installation of your new floors. When you turn to our team for luxury vinyl flooring installation, you can rest easy knowing that your home is in good hands. We take the proper steps to ensure that everything goes smoothly, resulting in the finest finished product possible. Reach out to our team of flooring professionals today to find out more about the methods we use during installation. Call us today for the finest luxury vinyl on the market. We are proud to serve Jersey Village, Spring Valley Village, Cinco Ranch, Bellaire, Cypress, Texas, and the surrounding area.